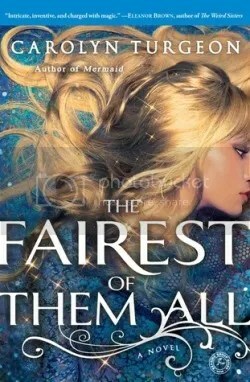 So Ms. Bonnie Lynn Wagner runs the illustrious book blog A Backwards Story, where she reviews all kinds of books but has a special affection for fairytale stories and mermaid tomes in particular and so obviously has exceptional taste. In a few days, she’ll be launching her second annual Splash into Summer feature, which is ALL MERMAIDS and will last a few weeks—from June 25 to July 15. Obviously, you must mark your calendar and plan to get a little less lazy and a lot more literary in your fish-tailed endeavors. (Speaking of marking your calendars, please note that today is my BIRTHDAY. Thank you.). 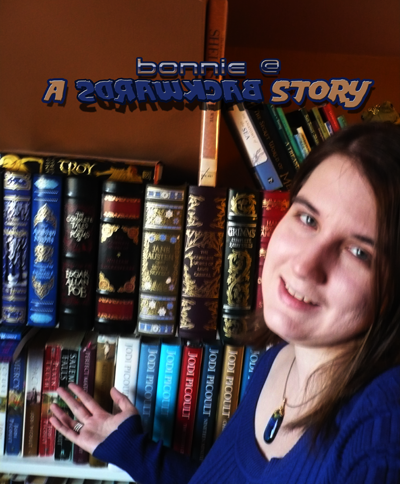 In preparation for Splash into Summer, I recently spoke with Bonnie to get her run-down on the state of mermaid fiction, and mermaids generally. Can you tell me about Splash into Summer? 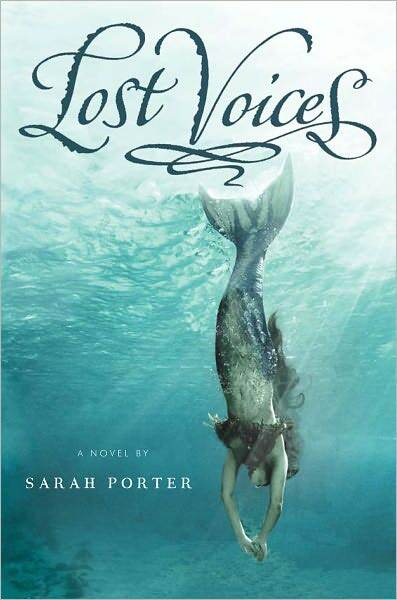 I started Splash into Summer last year because there were two mermaid novels coming out that I wanted to promote, Lost Voices by debut author Sarah Porter [see this blog’s interview with Sarah here], and Fins Are Forever by Tera Lynn Childs [see this blog’s interview with Tera here]. The two books came out almost back-to-back and I thought it would be fun to do an event celebrating them. 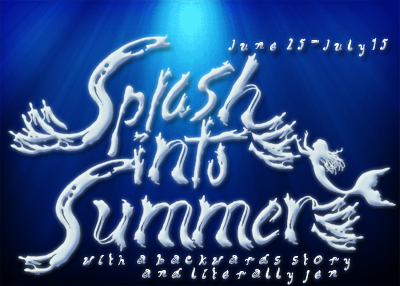 It wound up turning into a huge event that extended and I had so many authors and mermaid lovers stop by to guest post. The event was so much fun and I can’t wait to do it again this year! Splash isn’t just for mermaids, though. It started out that way, but then I realized I wanted to feature books such as Selkie Girl by Laurie Brooks and decided that the term Splash was ambiguous enough that I could celebrate all underwater creatures, not just the Mer. What kinds of mermaid topics have you featured in the past? What can we look forward to this year? Last year’s Splash featured book reviews, author interviews and guest posts, giveaways, and more. I also had fun posts such as a vlog on Mermaid Fashion and 15 Little-Known Facts About Mermaids, which also featured a mermaid anatomy chart and then-recent article on mer-physics. This year, I want to feature more fun, light-hearted posts as well as highlight a new crop of mermaid books and authors, while bringing back some repeat visitors. I’m also co-hosting the event with my Mermaid Soul Sister Literally Jen, and we’re doing three weeks of fun right off the bat! What’s your take on the recent mermaid trend in fiction? Do you see it accelerating/decreasing; has it peaked yet, do you think? What kinds of mermaids are you seeing in recent fiction? I love it! The more mermaids in fiction, the more books there are for me to purchase and love! I had a bookshelf just for mermaid books and because of all the new releases, I had to move it a few weeks ago. Now the mermaids are on the same two shelves as my fairy tales and mythological novels. This year is the first to feature a huge surplus of mermaid novels. A lot of these books have sequels in the works, too, so I think we’ll see at least the same amount of books next year, if not more. I wouldn’t be surprised if publishers jumped on the trend and will be publishing an influx of mermaid books for another year or two yet. I’ve noticed that most of the mermaids I’m seeing right now are in Teen Fiction, which means that most of these books have a romantic element to them. I have noticed a couple of books launching this year that were narrated by mermen, which was really exciting because authors usually just focus on the mermaids. I’ve also read a couple of mermaid books from this new group that I don’t like as much because it seems the research just…isn’t there. The author thought, “Maybe I’ll hop on this mermaid train” and didn’t look at all the stops along the way. I tend to get pulled out of a mer-world if things are contradictory and the Mer hate a certain human thing or shouldn’t know about it, then suddenly do anyway, for example. I’ve read so many Mer-related books that the world needs to feel real to me at this point or the Mer need to interact within the boundaries the author has created or I just can’t enjoy myself. Why do you think people like to read about mermaids? For my age demographic and younger, at least, I think a lot of it has to do with Disney’s The Little Mermaid. I was young when the movie came out and instantly captured by the notion of mermaids. I’ve heard a lot of other people say the same, so I totally blame Ariel. I’m also a huge water baby and would like nothing more than to live in the water, so it’s nice to think of the possibilities of becoming a mermaid. 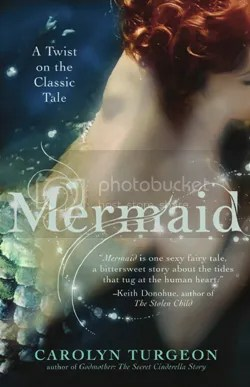 What are some of the more interesting mermaid titles you’ve read/look forward to reading? My favorite to date is Sarah Porter’s Mer trilogy, of which I’ve read the first two books. 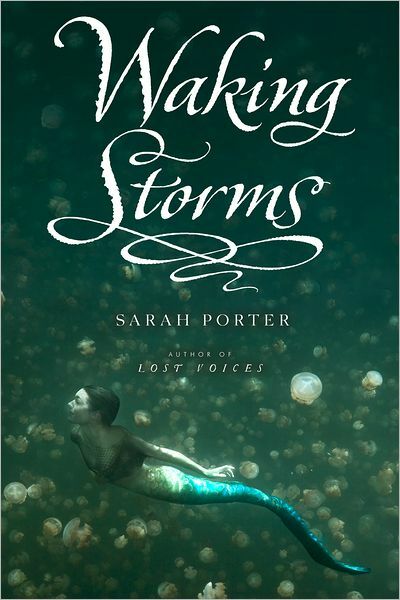 I think her new book, Waking Storms, is even better than Lost Voices, which is saying a lot. The trilogy is much darker than any other mermaid tale I’ve read, which has turned a lot of people away from the series, but Sarah’s underwater world feels very raw and real to me. I also love your own novel, Mermaid. I was enamored by the concept of a retelling of the original Hans Christian Andersen version rather than the Disney version (You might be surprised at just how many people don’t realize that The Little Mermaid is NOT a Happily Ever After story), especially since you used alternating POVs and showed us things from the princess’ perspective. I’d never seen this done before, and combined with the gorgeous descriptions that brought a new image of mermaids to mind, I was hooked. 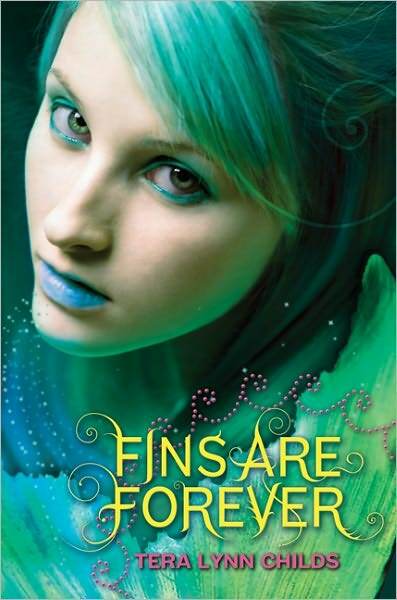 I’m also a big fan of Tera Lynn Childs’ FINS series and was excited to see that she was coming out with a third book this year. It’s such a cute, fun series, and you really come to care about the characters. 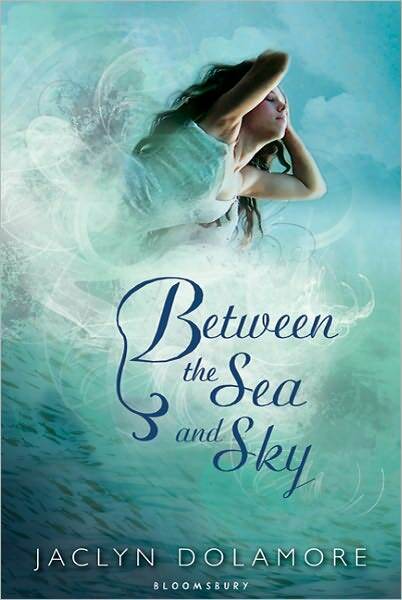 I also wish Between the Sea and Sky by Jaclyn Dolamore was on more people’s radars because it was gorgeously written and really felt like I was reading an original fairy tale last year. 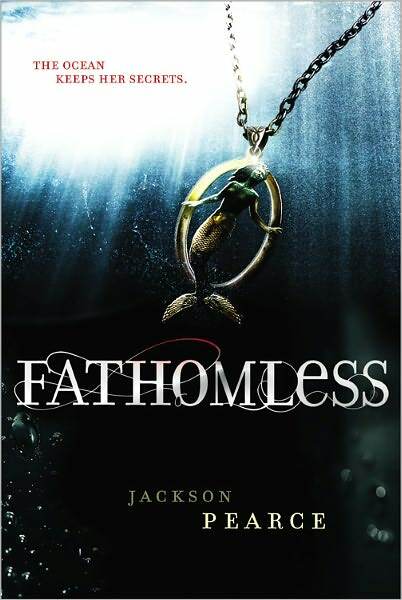 I’m most excited to read Fathomless by Jackson Pearce, which is coming this fall from Little, Brown. It’s a companion to Sisters Red and Sweetly, but about mermaids, so I’m already hooked. And while it may not be Mer-related, Macmillan/Tor Teen is releasing a book in November by J.A. Souders entitled Renegade with an underwater world that sounds delightfully creepy. Have you always been a fan of mermaids? I’ve always loved mermaids (or at least, I have since The Little Mermaid), but I don’t think I had ever been as obsessed with them as I am now. I started buying mermaid novels, children’s picture books, folklore anthologies, seashell encyclopedias, underwater documentaries, etc., because I’ve had a mermaid story inside me since high school that wants to come out. I want my world to be as realistic as possible when I begin writing and evolving the idea. I have, however, always been fascinated by the sea. Going to the beach or swimming in the pool was always a favorite childhood past-time growing up. Dolphins have been my favorite animals since elementary school, and I would also count sea-dwelling creatures such as seals, otters, and manatees as favorite animals of mine. I don’t know what it is about the sea that fascinates me, but I often wish I really had the ability to become a mermaid, rather than just reading about them! Simply want to say your article is aas amazing. Thhe clearness for your put up is jhst cool and that i can suppose you’re knowledgeable in this subject. the vistors are genuinely sharring fasyidious thoughts.